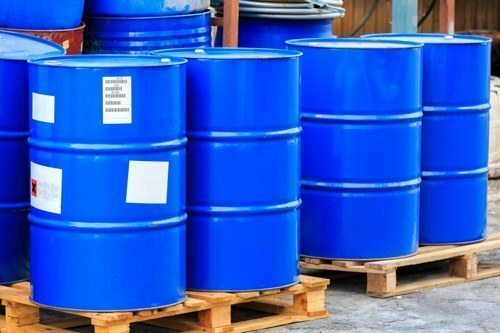 Due to the nature of the stringent and detailed audit that takes place for Verification for Responsible Distribution, many companies have to implement policies and processes that extend across their entire operations, both chemical and otherwise. Raising the bar on those practices and bringing them up to a standard, high level of performance benefits a company’s entire operations, not just their chemical-specific ones. “It’s an uphill battle if you don’t have all groups within the company working toward the same goal and understanding that although all facilities may not be distributing chemicals, our processes must be the same regardless.” She adds that even those non-chemical facilities, the other (ie non-NACD) audits they have gone through have been much easier due to the streamlined procedures put in place for Responsible Distribution and the fact that the company has upgraded its systems and policies across the board. Moore went on to cite several other advantages to getting involved with Responsible Distribution, including the opportunities to network with experts who you can bounce questions off of, and participating in committees and programs that aid in that. Growing and evolving through new connections and initiatives helps prevent stagnation. Finally, training and getting employees involved in continuous improvement of processes helps Responsible Distribution be a success. Read more about Moore’s interview and commentary online, courtesy of Chemical Distributor magazine. LeSaint Logistics was recently re-verified as meeting stringent and best-in-class practices for Responsible Distribution by the National Association of Chemical Distributors (NACD) for a three-year period.